Mandl is authorized by the Board of Regents of the University of the State of New York to award the Certificate in Dental Assistant, the degree of Associate of Applied Science (A.A.S.) in Health and Human Services, Health Care Administration and Respiratory Therapy, Associate in Occupational Studies (A.O.S.) and the Certificate in Medical Assisting, and the Associate in Occupational Studies (A.O.S.) in Surgical Technologist. Mandl is institutionally accredited by the Accrediting Bureau of Health Education Schools (ABHES) which is located at 7777 Leesburg Pike, Suite 314 North, Falls Church, VA 22043, 703-917-9503. 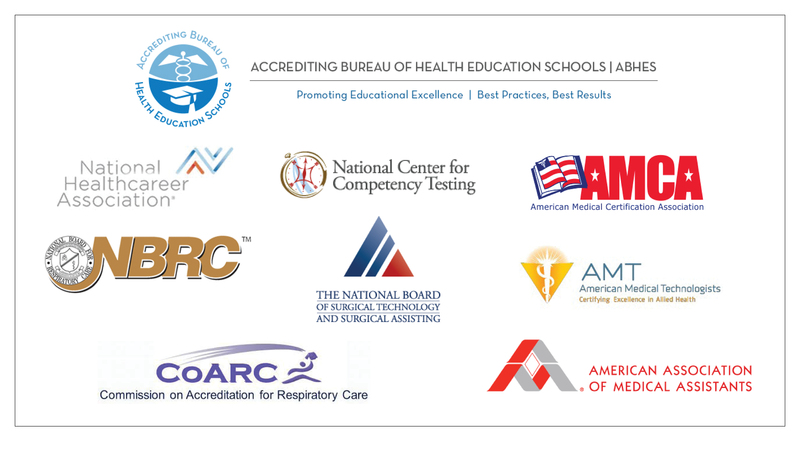 Mandl’s Respiratory Therapy Program holds Provisional Accreditation from the Commission on Accreditation for Respiratory Care (CoARC) which is located at 1248 Hardwood Road, Bedford, TX 76021- 4244, 817-283-2835, and can be found online at www.coarc.com. Enrolled students completing the program under Provisional Accreditation are considered graduates of a CoARC accredited program.